ichael Starke was born in 1955 in Long Beach CA, but moved to Garden Grove CA at age nine. He began musical studies in middle school, playing bass violin in the school orchestra. The director introduced him to a new recording of J.S. Bach's music performed on the Moog synthesizer, Switched-On Bach. His passion for Baroque music began at that time and provided the motivation to learn to play recorders - melody lines were then possible, in addition to continuo lines. Trips to local university libraries offered opportunities to write out recorder parts from scores and to make arrangements of Baroque music. This experience began Mr. Starke's interest in composing for recorders and other instruments. During college, he organized concerts of Baroque music with his friends, playing at libraries, book store openings, weddings and other celebrations. He quickly lost any remnants of performance anxiety, having played many free concerts on the streets of Los Angeles, often times amid quite vocal critiques. In 1976, Michael Starke married Amy, and they now have two sons. Soon after marriage, Mr. Starke joined the US Air Force. As the bass violin was a little bulky for boot camp, he enjoyed the suitably portable recorders. During his 5½ in the service, he and his wife played at nearly every assignment. Particularly rewarding was their time in Japan, where they played during church services (sometimes Michael's own compositions) which were broadcast all over Japan on the Armed Forces Radio Network. After the military, Mr. Starke continued his music education, particularly in the area of theory. His library contains books by Rameau, Quantz, Fux and Morley, and many scores which he reads with the same enjoyment his wife finds in Jane Austin and Tolstoy. 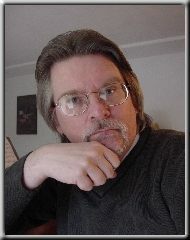 His career as a composer gained considerable exposure on the Internet, with postings of pieces in MIDI format which led to several business relationships (including the one here at CanticaNOVA Publications). The Internet remains a valuable source of continuing education for Mr. Starke. He relates, "Often times music scholars will discuss theory with me from locations as diverse as England, Italy, Germany and Australia. My education continues nightly right in front of my computer." In addition to composing, Mr. Starke divides his time among his position as a hospital pharmacy technician, as a husband and father of two boys, and as a recorder player with a local amateur group. He lists as his favorite composers G.P. Telemann (a genius at making music fun to both hear and play) and J.S. Bach (the "Master of all music"). Ultimately, his love extends to all Baroque music "for its power to inspire the mind and turn the heart toward truth, love and God." We are fortunate at CanticaNOVA Publications to be able to publish several of Mr. Starke's works.